We're currently trying to figure out what color to pain the master bedroom. There are so many awesome colors out there that I can't narrow it down. 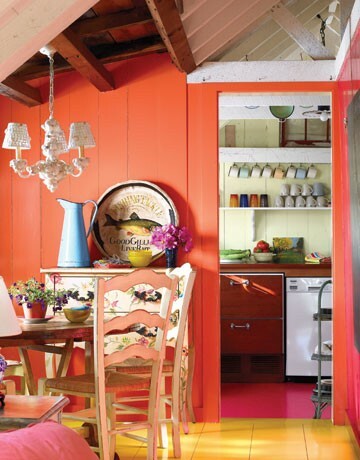 Here are some of my favorite color ideas from my Paint by Numbers Pinterest board. What are your favorite boudoir colors? Blue and purple. 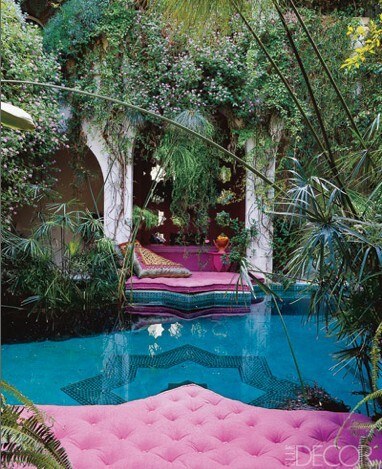 This is the most peaceful backyard/resort! Turquoise, orange, purple, and wood. 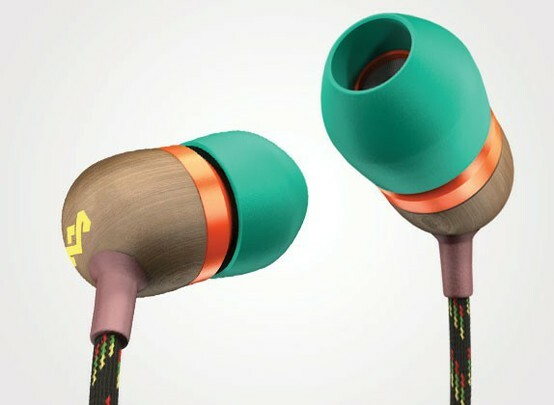 I know they're headphones (by House of Marley) but the color combo is perfect! Plum, mustard, navy, brown. This is such a soft, pretty pallet. I think I'd leave the blush out...I like deep moody colors. Jerome will love the navy...he's a typical guy who loves blue! Orange. If you pick the right shade, it can be awesome! Mustard. I did yellow accent walls in our old master bedroom but never done a full room. Like orange, you have to get just the right shade for it to look right. Loving this mustard color. Charcoal. 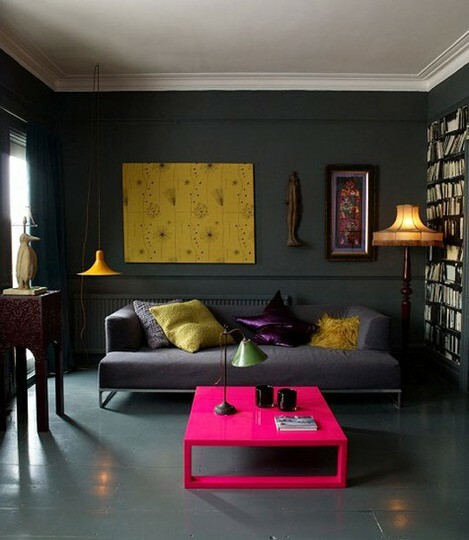 Reminds me of our last apartment where we had bright furniture and grey and black walls. I still have some charcoal paint leftover so this is a STRONG contender, as long as we find a bright, vintage bedspread to keep things light and happy! First, your images are lovely and make me think anything you do will be awesome. I have had a salmon colored bedroom and got tired of it quickly. Our kitchen was a mustardy-ish (it's a word, right?) yellow and the same thing, got tired quickly.Going to do a BOLD blue in our bedroom, we have aqua in the kitchen and LOVE It. I spend so much time changing decor and furniture that it takes me a good year or two to get tired of a color. That's the longest we live in an apartment anyway so it works! I thought of doing salmon/coral. If you click on the link for my Pinterest board, you'll see the coral frames pic. I'm nervous about yellow...it's hard to do but it's my fave color so I may give it a try. 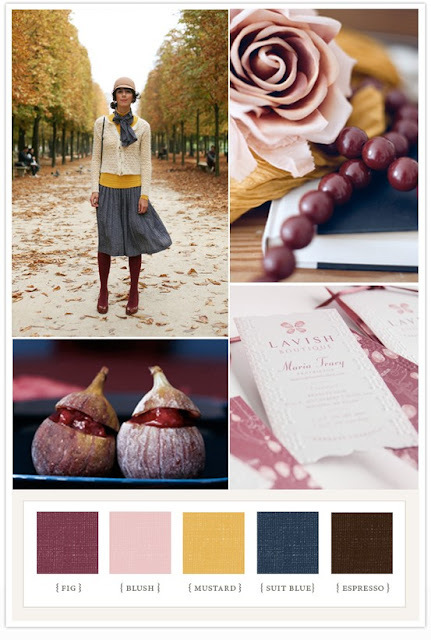 I'll have to stop on over to your blog to hunt for some color inspiration! I'm determined to pick something this weekend, even if it means flipping a coin to get something picked. Plum Mustard Navy Brown - are a delicious pallet for a bedroom. They are not only rich colors, but somehow vintage/classic, while also very inviting & relaxing - which I'd like in my bedroom. The Plum shade is a marvelous addition which softens the other three.